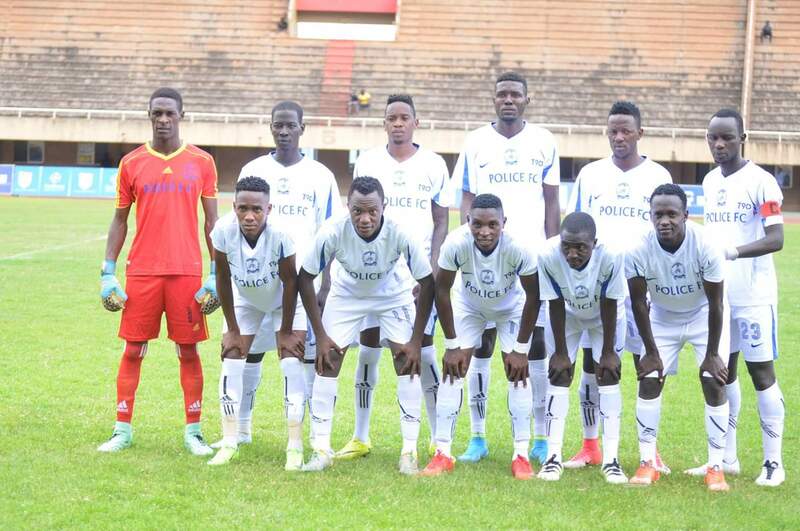 LUGOGO – Police FC produced a magnificent team display as they defeated Mbarara City 3-1 at the StarTimes Stadium on Friday. Juma Balinya helped him self to a brace and Pius Kaggwa scored the other on a day that Police looked as comfortable as ever while Mbarara who scored through Ibrahim Orit, failed to get going. Both sides started the game showing clear intentions of attacking with Paul Mucurezi blasting a free-kick from just outside the area, over the bar. At the other end, Police forced the first corner of the game which did not amount to anything. As the game wore on, the lightening attacks disappeared and both side resorted to shots from distance. On 19 minutes, the first goal of the game came. Norman Ojick robbed Mbarara defender Harper Ahebwa of the ball in the area and then set up Kaggwa who short neatly in the lower right hand corner for 1-0. Three minutes later, Steven Kabuye nearly pulled the Ankole Lions level but his first time shot was pushed out for a corner by Davis Mutebi in the Cops’ goal. Mutebi nearly turned into a villain on 24 minutes when he miss judged Hilary Mukundane’s routine free-kick but the custodian adjusted to tip the ball over for a corner. From the resultant kick, Karim Ndugwa headed over while unmarked in the area. Mbarara pushed for an equaliser before halftime but always looked suspect on the counter. At the half hour mark, Hassan Kalega recovered possession in the center circle and released Ojick who shot over from a tight angle. With 8 minutes of the first half to play, Mbarara were eventually made to pay for pushing numbers forward when Ruben Kimera threaded a through ball for Balinya who slotted in past Kimera to make it 2-0 to Police. Mbarara’s final chance of the half fell to Mucurezi who curled a free-kick near the area, agonizingly wide of the target. At the other end, Ojick shot from distance but his effort was brilliantly pushed away by Kimera. The referee sent the teams back into the half time break with Police holding a healthy 2-0 advantage. At the start of the second half, Mbarara’s technical bench introduced South Sudan international-Wol Makweth in place Abrahama Ndugwa to try and pile more pressure on the Cops’ defence. Mbarara started the second half strongly, trying to pull atleast one back as soon as possible but were not troubling Mutebi in the Police goal. On 57 minutes, Makeera Shakul was introduced in place of the injured Samuel Kalyango in the Cops’ first change..
Four minutes past the hour mark, Orit pulled one back for the Ankole Lions, lashing onto Makweth’s well weight pass inside the area, and he placed it at the near post past Mutebi. In response, Abdallah Mubiru made an instant switch, throwing on Ronald Nyanzi in place of Ojick. The first yellow card of the game was shown to Kaggwa for time wasting as Mbarara pilled on the pressure. Moments later, Police captain Sadat Kyambadde was also booked for a rush challenge on Mucurezi. With 8 minutes to play, Mbarara threw on attacker Umaru Muhinzi in place of Jude Semugabi to try and find the equalizer. However, it was Police who sealed the points as Balinya was the end of a swift counter attack, dancing his way into the penalty area and unleashed a fierce effort past Kimera. From there on wards, Police held onto their fourth of the season, subjecting the Ankole Lions to a third loss. The victory moves Police into 7th on the log with 14 points from there first 9 games will Mbarara remain 3rd with 16 points. In the other game on Friday, SC Villa registered their first victory of the season, defeating Nyamityobra 1-0 at Wankulukuku. 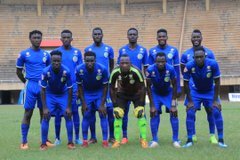 Action in the StarTimes Uganda Premier League continues on Saturday with Paidah Black Angels hosting Bright Stars, Maroons play host to KCCA FC while Onduparaka travel to Express FC.